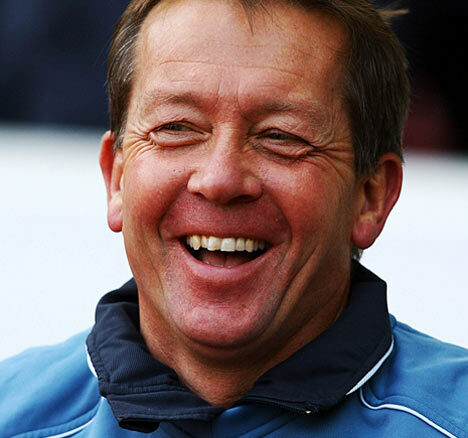 Alan Curbishley (born 8/11/57, Forest Gate) is a former footballer who started his career at West Ham in 1974, when he was the youngest player ever to be named on the teamsheet. In 1979 he transferred to Birmingham City where he stayed until 1983 when he joined local rivals Aston Villa. A change of managers saw him transferred again to Charlton Athletic in the following year. In 1987, after moving to Brighton & Hove Albion, he helped them get promoted to the Second Division. In 1990 he returned to Charlton as a player/coach, where he stayed for the next 16 years. In 2006, Curbishley was hotly tipped for the next England job, however this was not so and in December 2006 he joined West Ham as manager. In 2008, amongst much media interest, he resigned his position.